How do you keep naval pensioners entertained? 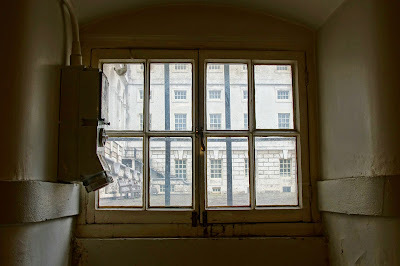 At Greenwich's Royal Hospital for Seamen, the Victorian trustees' original answer was a library. There was only one problem: many of the ex-sailors couldn't read. Their next idea was much more successful. 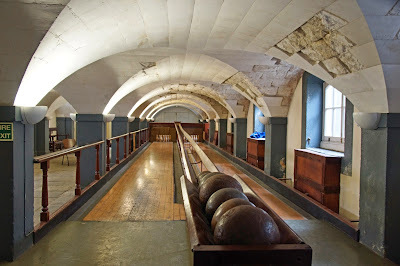 In the undercroft, a skittle alley was created in 1864. Approached through a long, low corridor, the alley is in a room almost below ground level. It actually has two alleys, side by side. In the centre, a sloped runway allows balls to be returned to the players with a minimum of effort - no bad thing, since they're very heavy! 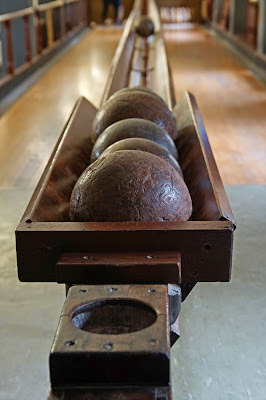 Each ball is made of ironwood, or lignum vitae, and was originally a practice cannonball.The skittles were recycled belaying pins, formerly used to secure ropes on ships. 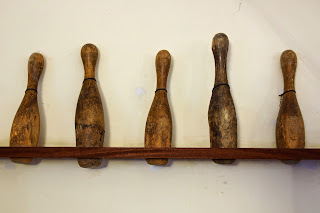 The skittle alley woodwork was made from ships' timbers in Deptford Dockyard. It's hard to imagine more suitable materials for these nautical players. While they played skittles, the pensioners indulged in another habit: smoking. (After all, skittles is quintessentially a pub game. 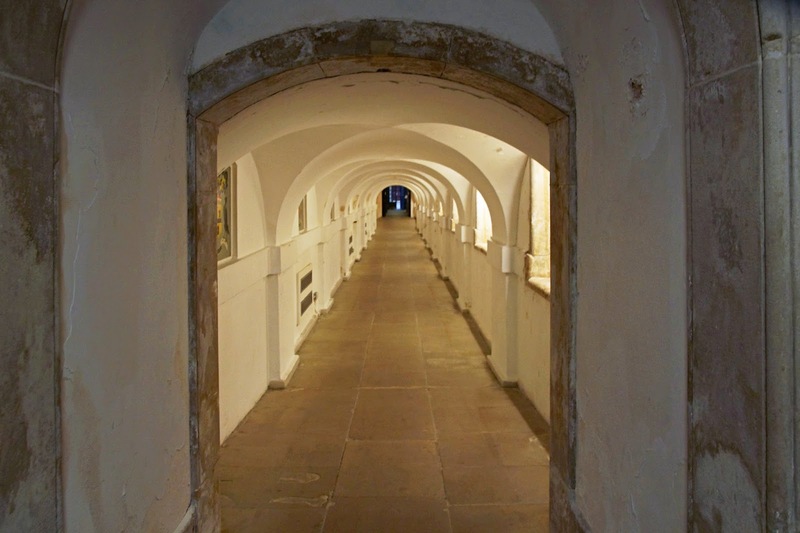 )The room was known as 'chalk alley', probably because of the discarded clay pipes crushed underfoot. Marks on the window ledges may also have been made when they sharpened the knives used to cut their tobacco - although an alternative explanation is that surgeons sharpened their blades here in its earlier incarnation as an operating theatre or mortuary. Usually closed to the public, the Victorian Skittle Alley sometimes opens as part of the ORNC's events programme. Admission is free, with access via the Painted Hall. 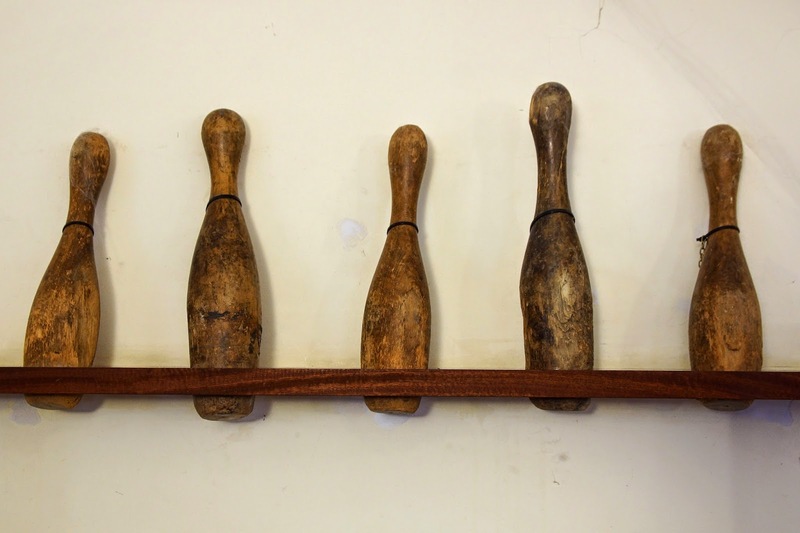 You can even have a go at playing skittles yourself! Even if they had PhDs, there is no reason why naval pensioners shouldn't have fun as well. What a great idea to encourage skittles, smoking, sociable drinking... anything to make life "normal". It's definitely worth going along (even if I did chicken out of actually playing!). Hels, I think all the pensioners were eager for some fun activities, but those in charge needed more convincing that the library wasn't enough fun by itself! I'm surprised they didn't give them a swimming pool as well, seeing as most of them couldn't swim either! I wish you'd mentioned that you were going here cos it's been on my list for ages, especially due to the connection with clay pipes (BTW, that's a def re the crushed pipe floor). We could visited together. Oh well… I will just link to this from my Amelia Parker site… thanks! Oh, I would have loved to go with you! It was very spur-of-the-moment, though. Hi - just back from our quick visit. Sneaked in our my own before the tour began (info officer opened the door for us) and had time to look closely at everything. Thanks for this!